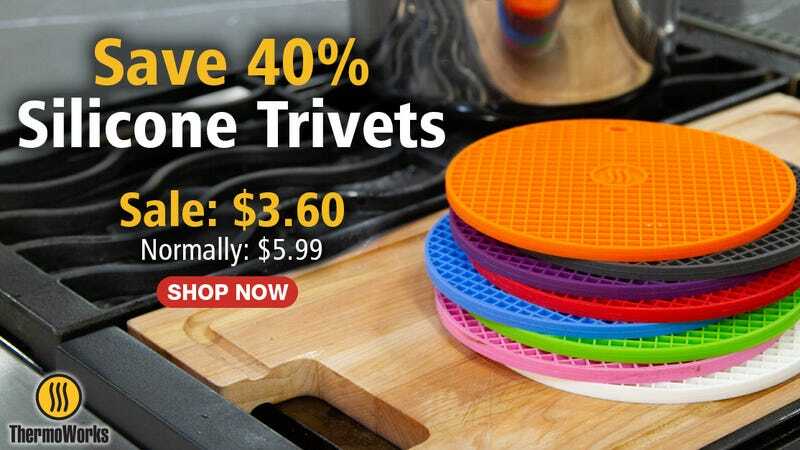 ThermoWorks is best known for its industry-leading kitchen thermometers, but did you know they also make silicone trivets? They’re dishwasher safe, can withstand temperatures up to 600 degrees, and can double as makeshift pot holders. Normally priced at $6, they’re marked down to under $4 today. There is $4 flat rate shipping through, so maybe buy several.